BETHANY BEACH, DE--(Marketwired - October 13, 2015) - ResortQuest Real Estate® is proud to announce the September 2015 top producers for its southeast Sussex County, Del., locations. 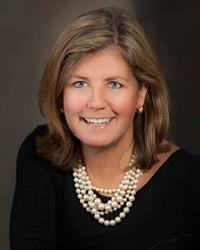 Anne Powell of the Bethany Beach office earned top listing honors for September. Top listing agents by office were: Ann Baker of the Marketplace at Sea Colony office, Cindy Spieczny of the West Fenwick office, Marc Grimes of The Village at Bear Trap Dunes office and Steve Alexander of the Sea Colony Oceanfront/Edgewater House office. 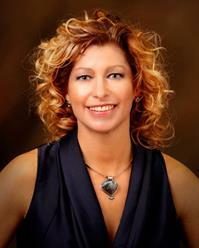 Karla Morgan of the West Fenwick office earned top sales honors for September. Top selling agents by office were: Bill Hand of the Marketplace at Sea Colony office, Jennifer Hughes of the Bethany Beach office and Valerie Harmke of The Village at Bear Trap Dunes office. ResortQuest Real Estate is a real estate leader in southeast Sussex County since the early 1970s. ResortQuest provides comprehensive real estate services, including residential and commercial sales, vacation and long-term rentals and homeowner association management. For the latest on real estate in the resort and inland areas of Sussex County, visit their locations at 33012 Coastal Highway or call 302-539-8600; Marketplace at Sea Colony at 33546 Marketplace or call 302-541-8999; Edgewater Lobby at L1- Edgewater House Road or call 302-537-8880; West Fenwick at 37458 Lion Drive, Suite 7 or call 302-436-1100; or Bear Trap Dunes at 21 Village Green Drive or call 302-541-5454. The firm can also be found on the web at ResortQuestDE.com, on Facebook (/RQDEMD), or on Twitter (@RQDEMD). For information on starting a career in real estate, contact Brigit Taylor, broker of record, at 302-541-8780 or visit www.ResortQuestDE.com. ResortQuest Delaware Real Estate, LLC, a subsidiary of Wyndham Vacation Rentals North America, LLC, has provided real estate sales, vacation rental, and homeowner association management services to Bethany Beach, Sea Colony and other fine communities in Delaware's Quiet Resorts, Maryland and the surrounding coastal areas since the early 1970s. Its affiliate ResortQuest Delaware, LLC's homeowner association management division, represents the needs of more than 6,300 homeowners in 49 associations from Lewes to Fenwick Island, Del. Wyndham Vacation Rentals®, part of Wyndham Exchange & Rentals® and the Wyndham Worldwide family of brands, is the world's largest professional manager of vacation rentals, providing access to approximately 103,000 vacation rental properties in more than 550 unique destinations worldwide. For additional information, visit our media center on wyndhamvacationrentals.com. ResortQuest Real Estate Sales Associate Karla Morgan earns September 2015 top selling agent honors. ResortQuest Real Estate Associate Broker Anne Powell earns September 2015 top listing agent honors.